10 Easy Steps to Design & Build Your Own Deck - Do It Yourself! Determine the dimensions and location of the deck. Assess the need for railings and stairs. Most Townships require railings on any deck that are over 30” high. Sketch out a design for your deck or ask Deck Craft Plus, LLC for help. We can help with material selections and supply all materials. Submit your plans to the township for approval and find out what inspections are needed. Attach your ledger board to the house in with 1 – 5” ledger loks staggered every 6”. Your ledger should be flush with your siding. Put flashing up behind the siding and down over the ledger board to seal everything and make sure you do not get water into your house. Build your foundation by putting the concrete pills or pillars down 36” and fasten a 6×6 post to the foundation with the appropriate bracket. Run 6×6 up to support beam that will be supporting the joists. Joists are to be hung on Ledger board with Joist hangers then run out across the beam to support the outer end. Check with your township for specifications and dimensions for footer and joists spacing. 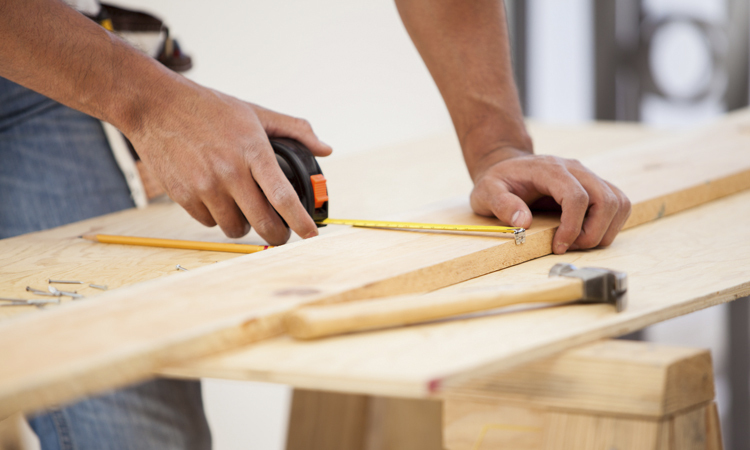 The ends of the joists may have to be cut down depending on the dimensions of your deck. Fasten the railings post to the frame with 4-5” ledger loks coming from two directions. Fasten the decking down with 2 color matching screws across every joist. Cut the ends off of the deck boards with a circular saw to make them all even and straight. Put your favorite patio chairs and grill on the deck and sit back, relax and enjoy yourself a good steak!! Where to Buy Deck Supplies? We have all supplies needed for your DIY deck here, in-stock, at Deck Craft except for your grill and favorite steak! Bring us your questions and we will help you answer them. 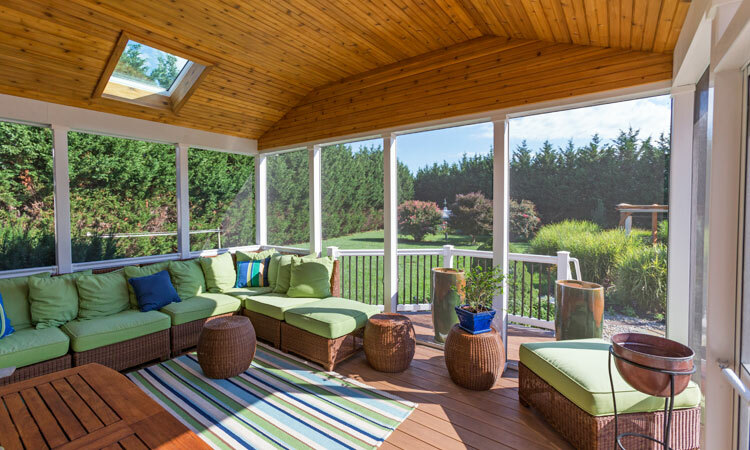 We’d be happy to set up a deck consultation, so reach out to us now! These steps are for a basic deck design and do not include all the details that are standard to Deck Craft Plus, LLC as they take more tools and expertise. If you are looking for something more complex we can certainly step in for you because backyard decks are our specialty! Bring us your dream deck and we can turn it into a reality. Always comply with your local township codes and regulation and ask for their approval before beginning the process.